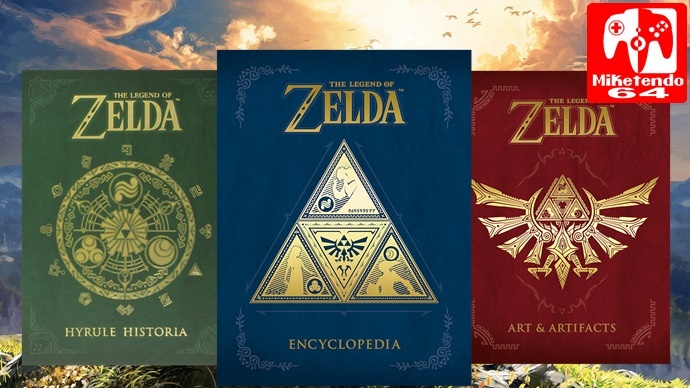 The third and final installment of the Holy Trinity of Legend of Zelda Literature Zelda Encyclopedia, which is written and compiled by Nintendo themselves, has had it’s Western April 24th release date postponed. The Zelda Encyclopedia follows up on Hyrule Historia and Arts & Artifacts it also includes details on all games from the original Legend Of Zelda on the NES up to Twilight Princess HD on the Wii U. Breath of the wild is not included as the original Japanese edition was written long before the release of the game on Wii U and Switch. The new release date for Zelda Encyclopedia has now been changed to June 19th, 2018 on Amazon US, Amazon Germany and Amazon France. Amazon UK and Spain have yet to update the new release date but it will only be a matter of time before they are changed as well. The Deluxe Edition of the Zelda Encyclopedia that also comes with a Gold NES Cartridge hard cover and NES protective Sleeve has also been pushed back to June 19 as well.